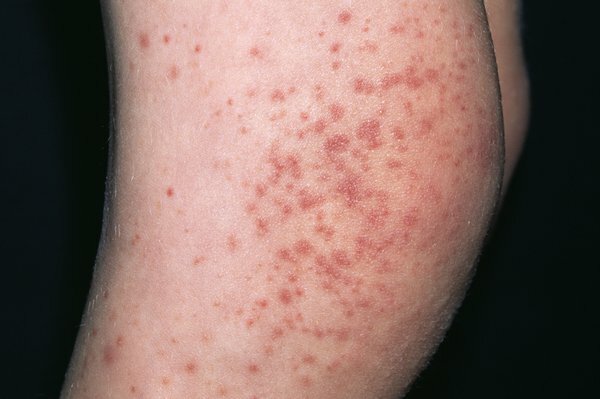 Henoch-Schönlein purpura (HSP) affects the blood vessels and causes a spotty rash. It's not usually serious, but can sometimes lead to kidney problems. 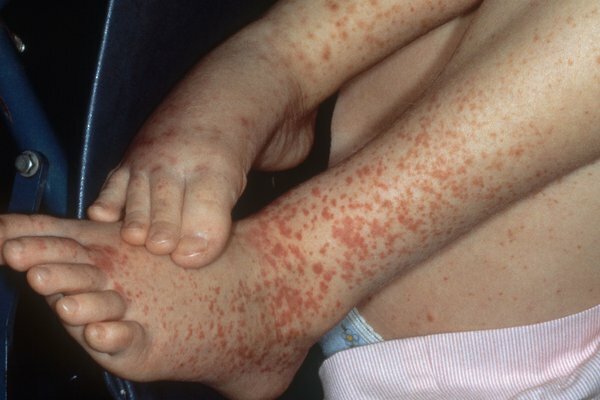 The main symptom of HSP is a rash of raised red or purple spots. The spots look like small bruises or blood spots. This could be something serious like meningitis. Press the side of a clear glass firmly against the skin. Check a few times to see if you can still see the spots through the glass. The rash can be hard to see on dark skin. Check paler areas like the palms of the hands and the soles of the feet. There's no treatment for HSP. It usually passes in a few weeks and you can normally just rest at home until you feel better. Paracetamol can help ease any pain. Don't take ibuprofen without speaking to your doctor because it could harm your kidneys. You'll have regular check-ups for 6 to 12 months to check how well your kidneys are working. You'll usually be asked to provide a sample of pee and have your blood pressure checked at each appointment. This may be done at home, at your GP surgery, or in hospital. You may need to go into hospital if HSP affects your kidneys. In hospital, you may be given strong medicines like steroids to help ease your symptoms. Most people with HSP make a full recovery. Any kidney problems usually get better without treatment. But sometimes HSP can be severe and last several months, particularly in adults. There's also a small chance the kidneys could be permanently damaged (chronic kidney disease). This is why it's important to have regular check-ups. You can get HSP more than once. Get medical advice quickly if the symptoms come back.